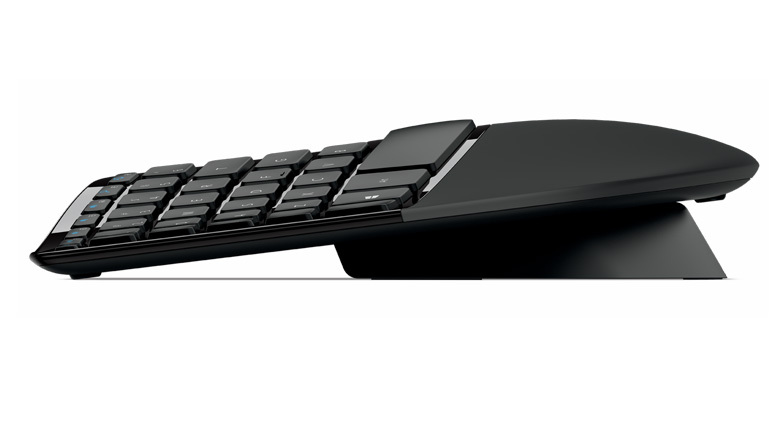 The Sculpt Ergonomic Keyboard and Mouse is built on advanced ergonomic design. 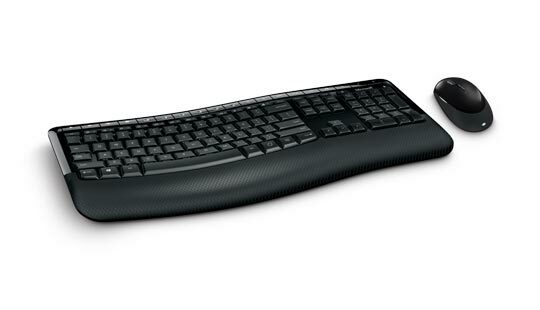 Sculpt Ergonomic Desktop is built on advanced ergonomic principles, with a split keyboard layout that keeps wrists and forearms in a relaxed position, and a cushioned palm rest to provide wrist support. 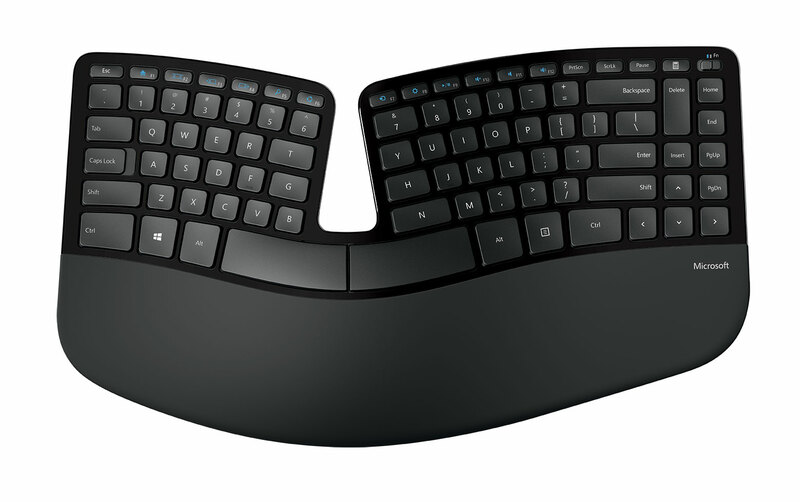 The domed keyboard shape works to reduce and correct wrist pronation that can cause pain and limited mobility. 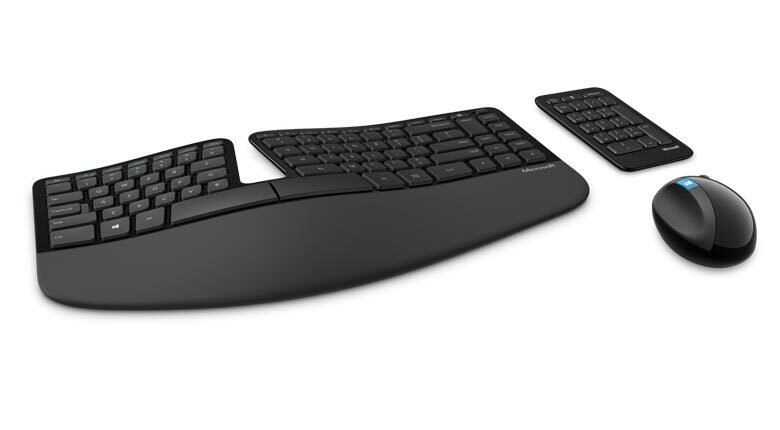 Sculpt Ergonomic Desktop is designed for productivity, with an eye on ergonomic excellence. 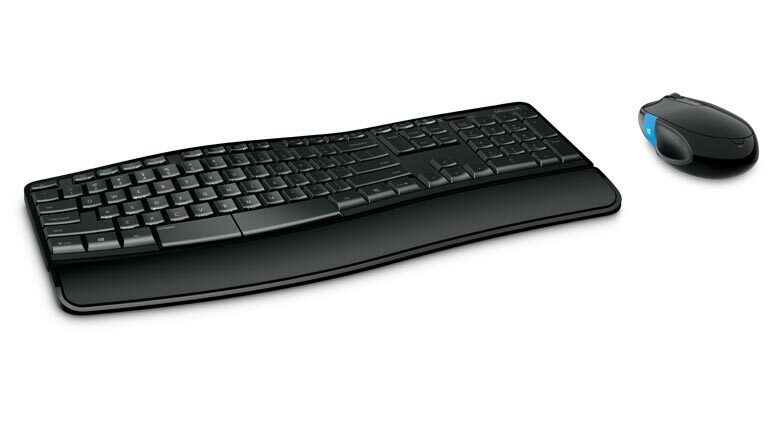 By providing a relaxed, comfortable computing experience, it enables you to work without the stress, strain, and discomfort of other keyboards and mice you may have used in the past. Cushioned palm rest provides support and promotes a neutral wrist position. 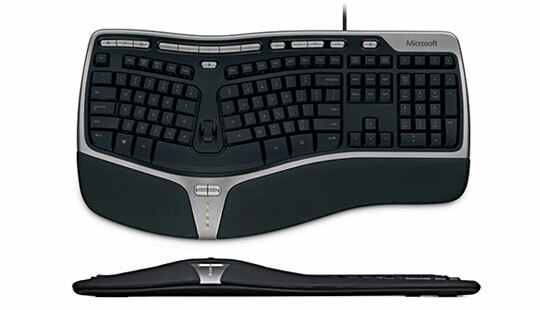 Split keyset design helps to position wrists and forearms in a natural, relaxed position. Natural Arc key layout mimics the curved shape of the finger tips. * Advanced Encryption Standard (AES) is an electronic data encryption specification that was established by the U.S. National Institute of Standards and Technology (NIST). It was subsequently adopted by the US federal government as an approved encryption technology under the FIPS-197 standard. 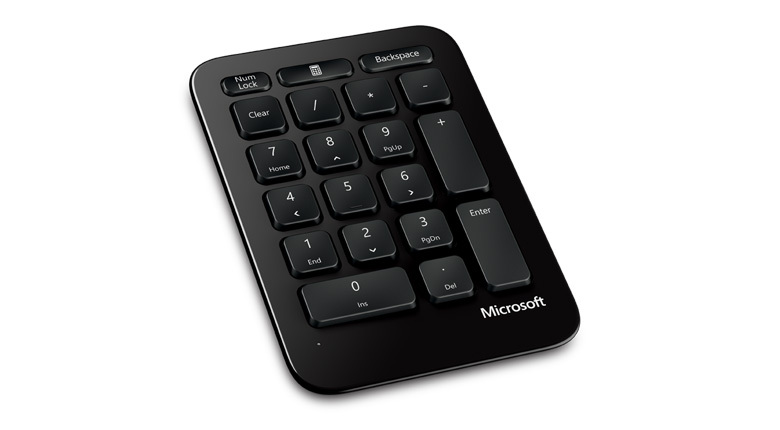 This keyboard features Advanced Encryption Standard (AES*) technology, which is designed to help protect your information by encrypting your keystrokes. 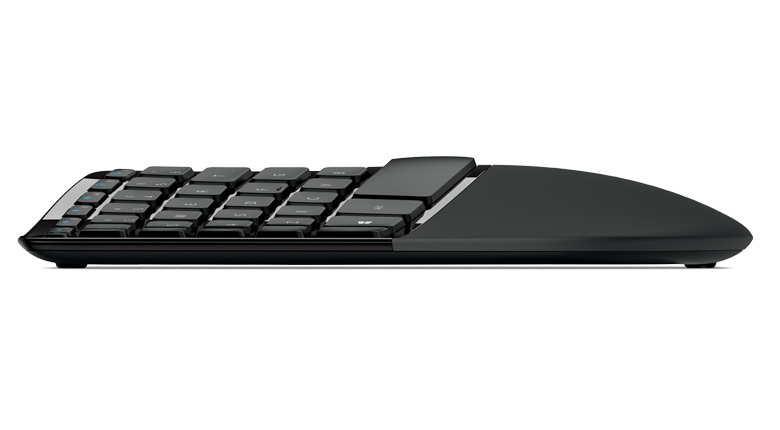 Each keyboard is permanently paired with its receiver at the factory—no key information is ever shared over the air. Windows button for one-touch access to the Start Menu. Requires a PC that meets the requirements and installed operating system below. 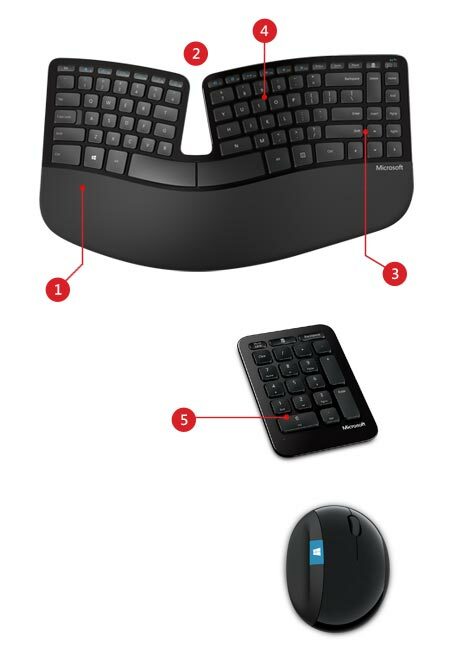 Use this compatibility chart to find out if the Sculpt Ergonomic Desktop works with your operating system.